“It’s a spiritual place to ride, everyone should ride there at least once”. It’s an unusual location for the sort of a conversation that would usually take place in the corner of a cafe over a coffee and cake, but nestled in a small clearing in the World Heritage rainforest of Cairns, two female racers discuss their races, the challenges of coming from a small country to compete on the world stage and the best places that they’ve ridden in the world, all amidst the carnage of the men’s World Cup race evolving around them. I’m talking to Tanja Zakelj, the diminutive powerhouse from Slovenia with multiple European and World titles to her name, as we both stand trackside watching Julian Absalon trying to chase down Nino Schurter following an unfortunate puncture. We both had punctures too. We consoled each others’ frustrations. On the topic of national level racing, it would appear that riders from Slovenia face some remarkably similar challenges to riders from New Zealand, despite being 18,000 kilometres apart. Small countries both trying to take the next step (or giant leap) up onto the world stage. Not that Tanja is doing a bad job of it. Nor Anton Cooper and Sam Gaze from our neck of the woods. When we tackle the subject of best riding places in the world, Tanja’s eyes light up and she is first to mention Rotorua. 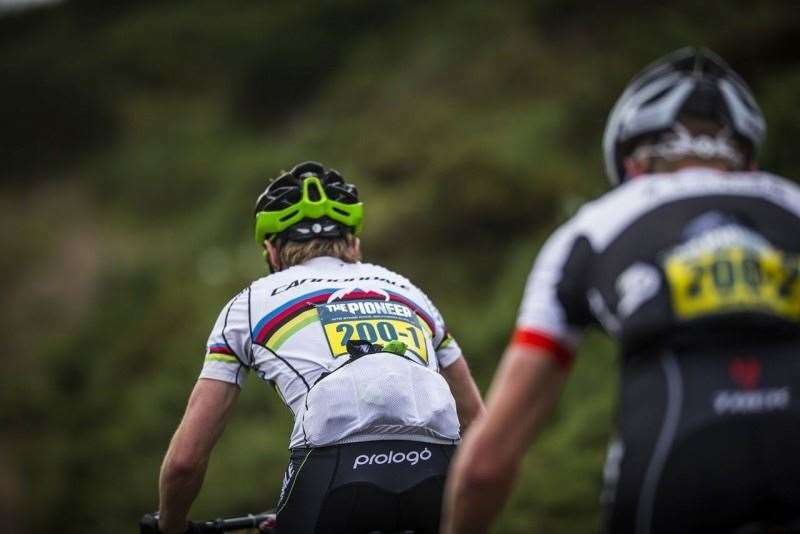 It’s probably no surprise that the place that you claimed a Junior World Champion’s rainbow jersey is the home of fond memories. Ten years on she still recalls the feelings she got from watching the Haka before shredding it in Rotorua. Rotorua hosts a lot of events - including the NZSSC in 2015. Photo: Saunders. “It’s a spiritual place to ride, everyone should ride there at least once”, she says. And in my opinion, if you’re going to ride there, you might as well ride as many of the trails on offer as possible. All at once. Make it a big day. One of my favourite home races, the Whaka 100, provides the perfect opportunity. Run in October every year, it has always boasted a big challenge, but when Tim Farmer took over the helm at NDuro Events, he revamped to course and billed it as “One of the Toughest”. There are a multitude of events out there with aspiring claims about the arduous challenges they afford. Longest. Hardest. Toughest. Whaka 100 does exactly what it says on the tin. One of the toughest – if not the toughest in New Zealand. 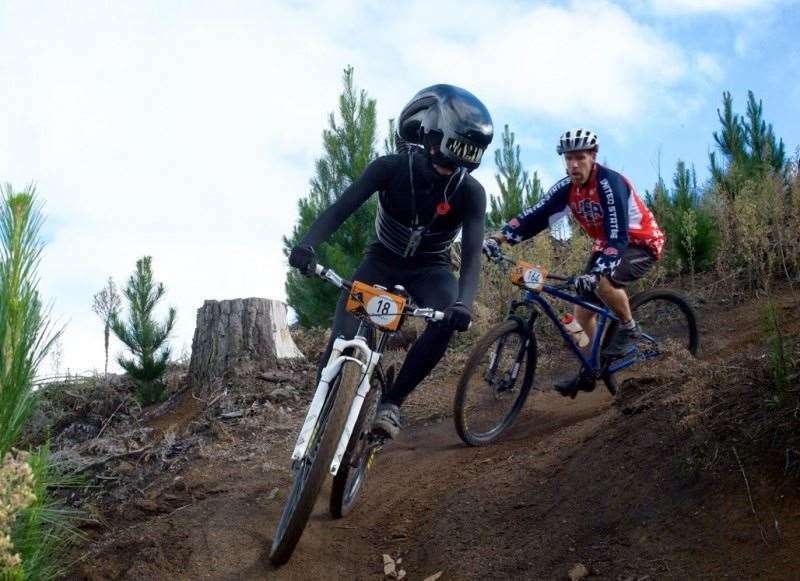 The race is a tour of singletrack heaven encompassing all the best riding on offer at the infamous Whakawerawera Forest over its 100 kilometre course. The route touches on the fringes of Lake Rotorua and the world renowned Green and Blue Lakes with awe inspiring views of the snow capped mountains of the Central Plateau. If you’re not just there for the scenery it also provides a meaty 3586m of vertical ascent to satisfy any mountain goat’s appetite. Not to mention, the inclusion of legendary trails like Kung Fu Walrus, which featured in the racing when the Enduro World Series visited Rotorua, the headspace challenging climb of Frontal Lobotomy, the whoop and holler inducing SplitEndz leading into Pondy and my personal favourite – the rock smattered singletrack of No Brains. It’s a 5 hour day if you’re Sam Gaze. If not, you’re probably in for a day closer to 7 or 8 hours in the saddle. As if that wasn’t enough, the Nduro Events crew added two timed hill climb sections last year, which they look set to continue to allow the coronation of King and Queen of the Mountains, as well as an urban eliminator burn out on the Friday night, before Saturday’s Shootout Time Trial to determine grid position for the title event on Sunday. As Tanja said, everyone should ride in the Redwoods once, and I think if you’re going to make it once you should make it the Whaka 100. Want to know more? Head to the event website.